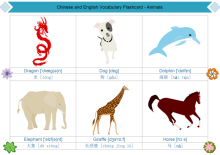 Here are a host of animal clipart which are vector and editable. You can apply them to represent animals when diagramming, which will bring your diagram to life. 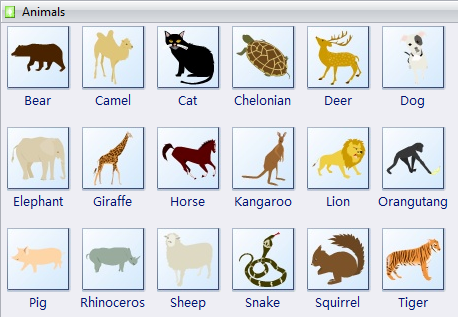 Edraw's animal clipart contains a wide range of vector pictures of animals, including bear, camel, cat, deer, dog etc. Refer to the following illustration. All are well-prepared in advance so that you just need to drag and drop them when needed. They are editable and well colored. You can enlarge them by dragging the square selection handles and rotate them by dragging the round control handle. These images can be applied in various fields when graphing. They can be inserted to other diagrams to make richer infographics. 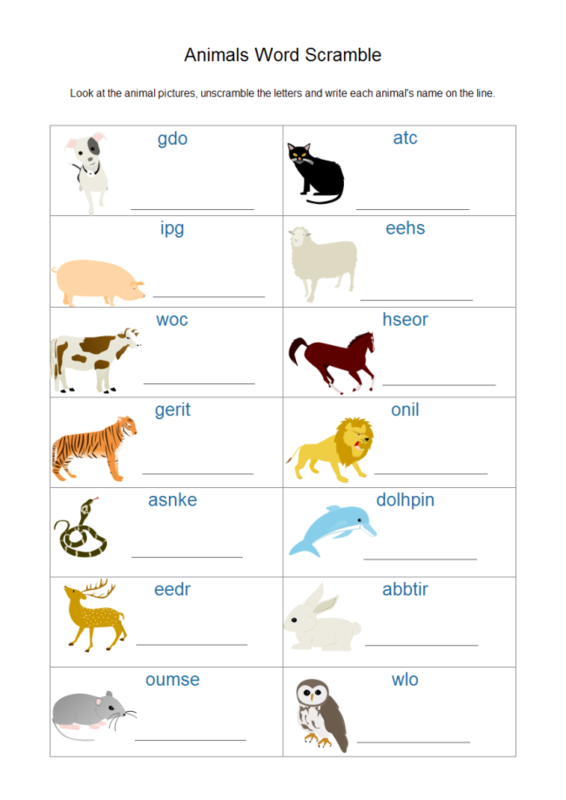 For example, several animal clip art can form a beautiful and funny worksheet. Here are some examples for your reference. Click the picture to download it for your own use. 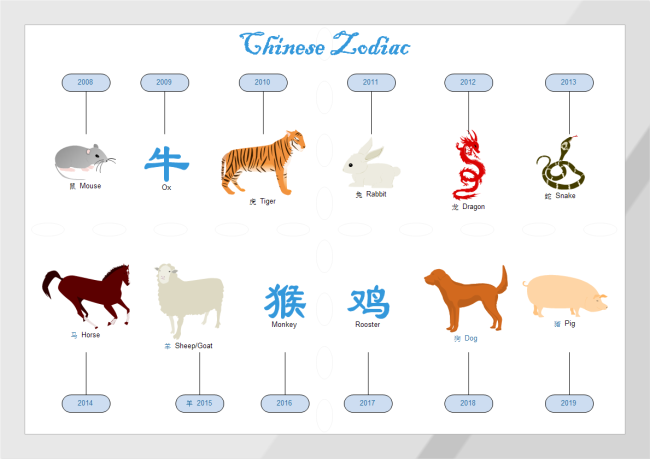 Chinese zodiacs composed of 12 animals forming a cycle of 12 years. Edraw offers you limitless possibilities in diagramming aided by its abundant shapes. As shown by the example below, callouts and vector text can be inserted to make it aesthetically appealing. You can click here to learn more about Chinese Zodiac Culture and download a ppt presentation about this topic. 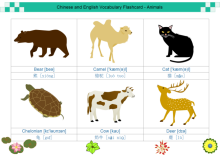 Animal clipart can be used to make worksheets for easy and efficient study. Such worksheets will be of great help for students especially for visual learners. Edraw has designed some well-formatted worksheets. Users can download and use them directly without any hassle. Click the image below for free download. Check out more application of animal clipart in Tree Diagrams for Presentation. Vivid flash cards can be gained with our lifelike animal clipart, which are great aid for vocabulary learning. See the examples below. 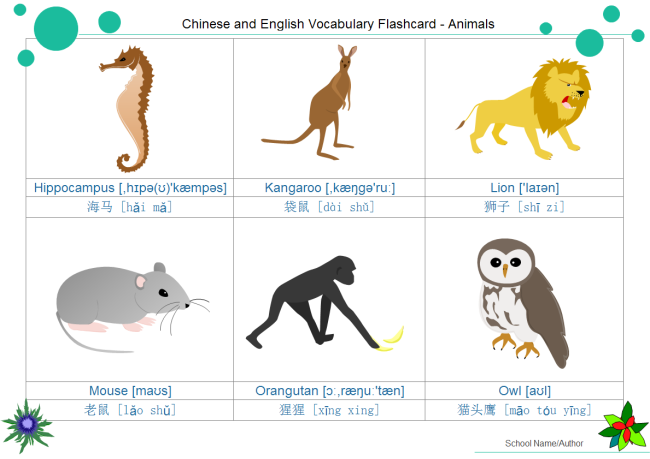 Click here for more helpful vocabulary learning flash cards.